The 2cm Flakvierling 38 quadruple 20mm mounting was highly respected by Allied airmen operating at low level. Designed by Mauser for German naval use, the Flakvierling 38 entered production for the army and air force during 1940. The Flakvierling 38 combined four FlaK 38 barrels on an adapted version of the FlaK 38’s carriage, and while the standard sight was the Flakvisier 40 or improved Flakvisier 40A, provision was being made for radar direction by the end of World War II. 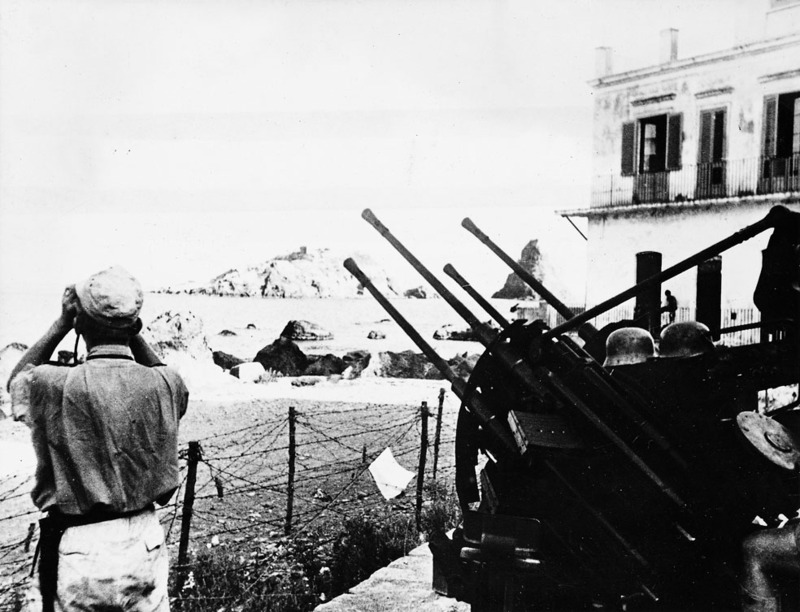 The need to keep four barrels supplied with ammunition meant that the detachment was increased to a commander and seven men (reduced to six from August 1944) rather than the FlaK 38’s total of six men: this provided for four loading and ammunition numbers in place of the FlaK 38’s two, but the Flakvierling 38 could be operated by just four men. The Flakvierling 38 was carried on trains and installed on FlaK towers to supplement heavier weapons, and was also used on a number of self-propelled mountings including the 2cm Flakvierling 38 auf m Lkw, the mittlerer Zugkraftwagen 8t mit 2cm Flakvierling 38 (SdKfz 7/1), the Flakpanzer IV (2cm Flakvierling 38) auf Fgst PzKpfw IV Möbelwagen, and the Flakpanzer IV (2cm) auf Fgst PzKpfw IV/3 Wirbelwind. It was an excellent and reliable weapon.